Moviegoers who stuck around through the end credits of Mary Poppins Returns may have noticed a certain retired late-night host’s name inexplicably present in the “Special Thanks” section. Jay Leno doesn’t appear in a single frame of the Disney film, as far as we know, yet the denim-clad Burbank resident still gets a shout out. What gives? On a recent episode of her podcast, comedian Julie Klausner pondered this very question, prompting a response from Poppins’ star Lin-Manuel Miranda, who was able to provide her, and us, with an answer. As it turns out, when the filmmakers were attempting to recreate the soot-speckled world of 1930s London, they found themselves in need of a period-specific car sound. So singular was this sound that it could apparently not be replicated or imitated (um, have they even heard of Michael Winslow? 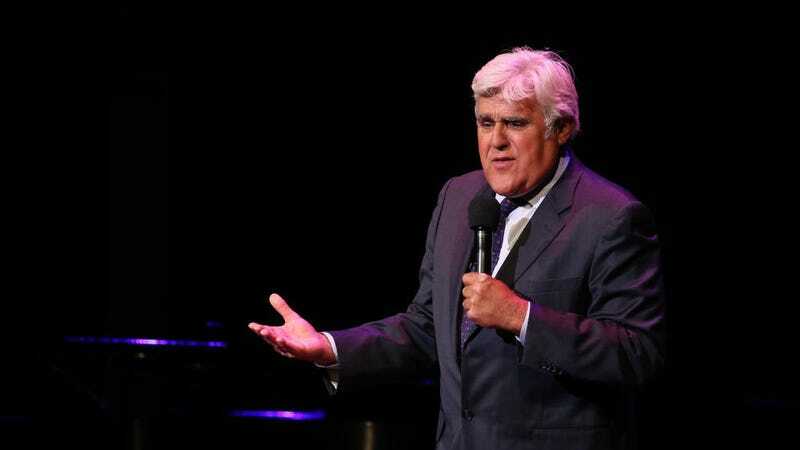 ), so the producers reached out to Leno, one of the world’s most prominent collectors of vintage cars, for a solution. Vulture even went so far as to field a guess on which of Leno’s many vehicles was brought in for the film, settling on his 1931 8-liter Bentley Mulliner. Probably a safe bet.